We hope this blog finds you all doing well. 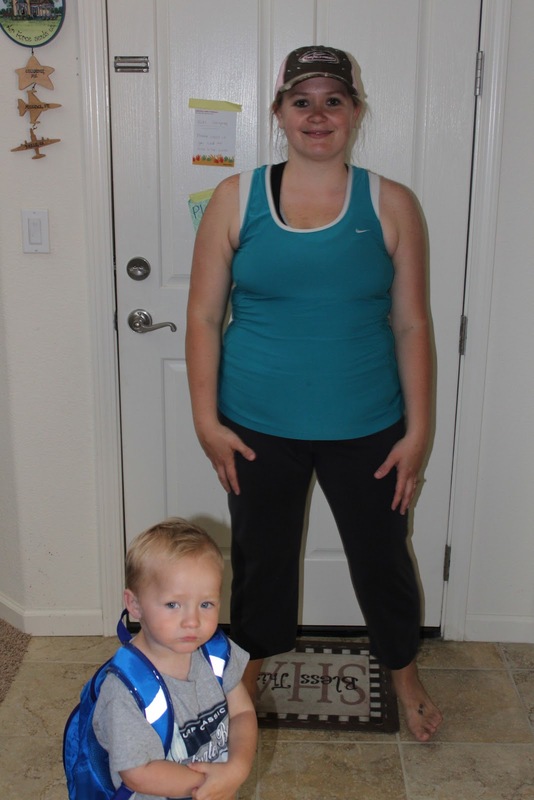 This blog has really been helping hold me accountable in reaching my goals. I never thought a blog would do such... but it does. As I write this I am finally able to sit down and watch the Biggest Loser Finale. I am excited to see who wins.. :) Yes, I love this show. I do not watch much TV... but this show is one I always found a way to watch while living in Japan too! It encourages me.... some do not like it- but I am a faithful watcher. No one likes to be on this journey alone... right? I just have to tell you all how thankful that I am to have my long time best friend, from Jr. High/High School days doing this along side of me. For the first time ever we are ranging around the same weights, give or take five pounds here and there, and it is so helpful for the both of us. We use texting and Facebook to keep in touch since she is 30 hours away from me. All this to tell you that we are doing the May Fitness Picture Challenge.. It looks like fun and it will be interesting to see each others pictures. I saw it floating around Facebook last night and grabbed it.. Have you seen this? It was interesting to take the before picture today! 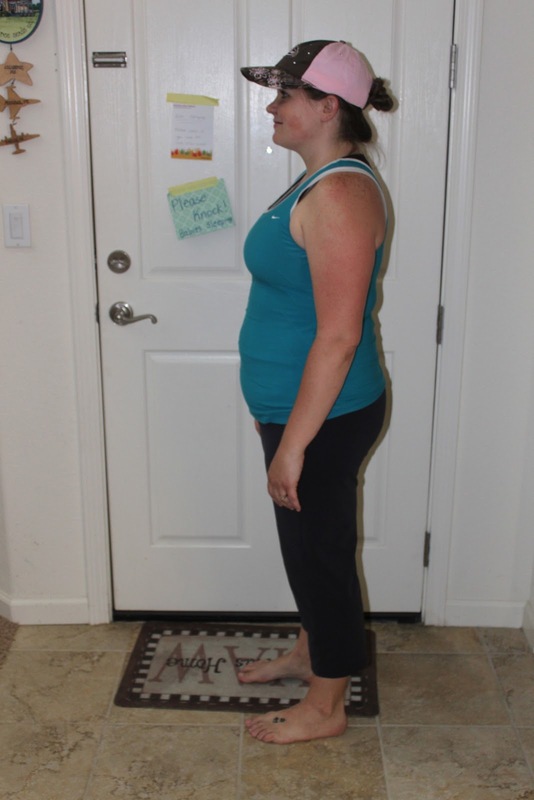 I have been finding pictures of myself 31 pounds ago... and adding them to slides on Powerpoint to help encourage me.. and encourage they have. I notice it most in my face... I am so thankful I have finally gotten back on track. How many of you have ever felt that way.. seeing old pictures and being so thankful you have managed to get over that hump and move forward. A friend and I took pictures a few months back, same weight, but I am wearing baggy clothes.. I wore them again today and took another picture. I was encouraged. 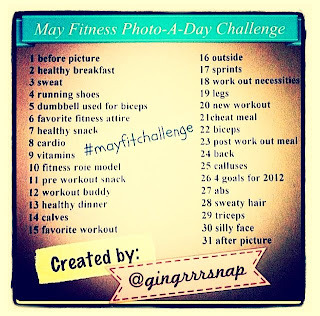 So who will join with us on this May Fitness Photo-A-Day Challenge? It looks fun. I am really interested for Day 3- Sweat.. Interested to see what kinds of pictures we will come up with. I will do it... leave you with my before picture... well for this challenge. I don't think I am ready to post what I have created in Powerpoint just yet... Other than this blog I am not really talking about my weight loss much... and I just don't think I am ready to be so raw and real just yet.. ya know? *The ME I was before I moved to Japan!! I am starting to love me again and that is a HUGE thing!!! Have a blessed day dear blogging friends!!! OF COURSE DON'T FORGET TO GO LINK UP!!! WE HAVE A GREAT PARTY GOING ON AND WOULD LOVE FOR YOU TO ADD YOUR AWESOMENESS AND SHARE OUR PARTY WITH YOUR FRIENDS!